British conductor Rumon Gamba held the positions of Principal Conductor and Music Director of NorrlandsOperan between 2008 and 2015 and Chief Conductor of the Aalborg Symfoniorkester between 2011 and 2015. He was also Chief Conductor and Music Director of Iceland Symphony Orchestra between 2002 and 2010. He regularly leads the BBC orchestras and has appeared at the BBC Proms on a number of occasions. A champion of new music, Gamba has given several high profile premieres including the world premieres of Nico Muhly’s Two Boys at English National Opera, Brett Dean’s Viola Concerto with the composer and BBC Symphony Orchestra; national premieres of Poul Ruders’ Dancer in the Dark and Mark-Anthony Turnage’s Blood on the Floor and Scherzoid with NorrlandsOperan and the Australian premiere of the original version of Sibelius’ Symphony No.5 with Queensland Symphony Orchestra. In 2016 he conducted Larsson Gothe’s The African Prophetess with the orchestra of NorrlandsOperan and Cape Town Opera Chorus as part of the Royal Stockholm Orchestras’ composer week. He appeared at the 2017 Enescu Festival with works by Sven Helbig and Rolf Martinsson. Rumon returned to the BBC Proms in 2017 to conduct a BBC commission by Michael Gordon for the jazz ensemble ‘Bang on a Can All-Stars’ together with the Proms Youth Ensemble. He has also recently collaborated with Ittai Shapira and Lotta Wennäkoski with BBC National Orchestra of Wales and Kymi Sinfonietta respectively. This season’s engagements include Rotterdam Philharmonic Orchestra, Gothenburg Symphony, BBC Symphony, BBC Philharmonic, Sinfónica de Galicia as part of the Musika-Música Festival in Bilbao, Bilkent Symphony, Oulu Symphony Orchestra, Szczecin Philharmonic, WDR Rundfunk and he will return to the Norrlands Orchestra to conduct their annual Gala concert. He will also conduct Rigoletto with Scottish Opera directed by Matthew Richardson. Rumon Gamba has conducted a number of operatic titles including Carmen, La bohème, Otello, and Candide. In celebration of Umeå’s status as European Capital of Culture 2014, he conducted NorrlandsOperan in an epic outdoor production of Elektra with La Fura dels Baus which was critically acclaimed. With both NorrlandsOperan and Aalborg Symfoniorkester, Gamba continued his popular late night concerts aimed at young adults which he first introduced whilst at Iceland Symphony Orchestra. As an exclusive recording artist for Chandos, Gamba’s projects include a series of D’Indy’s Orchestral Works with the Iceland Symphony Orchestra - the first of which was nominated for a Grammy Award. His most recent recordings include works by the Swedish composer, Dag Wirén with the Iceland Symphony Orchestra and a disc of British Tone Poems Vol. 1 with the BBC National Orchestra of Wales. Having studied with Colin Metters at the Royal Academy of Music, Gamba became the first conducting student to receive the DipRAM. 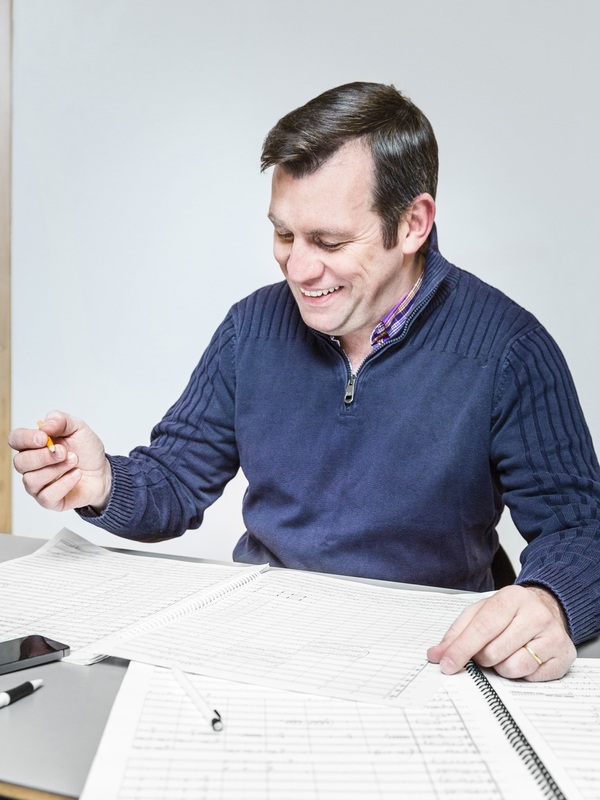 Having won the Lloyds Bank BBC Young Musicians Conductors Workshop in February 1998 he became Assistant and then Associate Conductor to the BBC Philharmonic, a post he held until 2002. The Royal Academy of Music recognised his contribution to music when they made him an Associate that same year. In 2017, he became a Fellow of the Royal Academy of Music. 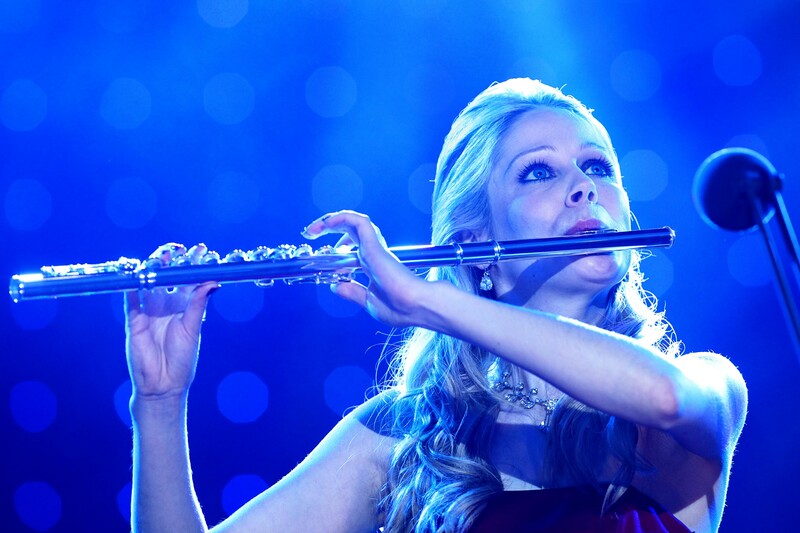 Irish flautist Eimear McGeown has steadily built a reputation as being one of the world's most versatile exponents of both the classical and Irish flute. She has appeared as a soloist in North and South America, South Korea, Japan, China, The Philippines, Russia and throughout Europe. Two of her most notable performances have been on BBC's Last Night of the Proms and the World Premiere of Dave Morris' Concerto in the Library of Congress in Washington DC. She has recorded with various artists on albums for Decca, Universal and Chandos Record labels and played on BBC Radio, Classic FM and RTE Lyric FM. Having performed for President Bill Clinton, Prince Charles and Prince Edward, Eimear received an invitation by Her Majesty the Queen, to attend a Royal Reception at Buckingham Palace to celebrate her achievements in the Performing Arts. On the Irish flute, she holds two All Ireland titles and recently released her debut album 'Inis' launching it at the Irish Embassy in London hosted by Ambassador Adrian O'Neill. She has recorded with Barry Douglas on two of his Celtic albums which feature several of her own compositions and also recently performed them together with Camerata Ireland in the Kennedy Center, Washington DC. Eimear has recorded at the Abbey Road Studios, for the video game Runescape and played in Lord of the Rings in the West End, London. She performed at the Sori International Music Festival in South Korea with the Irish Memory Orchestra and recently as a featured soloist with Libera in Tokyo’s Opera City Concert Hall. She is also involved in the Pop music scene and has played support for Ed Sheeran and with Jennifer Hudson on the final of TV show 'The Voice'. She also played with the rock band Amsterdam at the Glastonbury Festival, and played support to The Pogues in the Echo Arena, Liverpool.